A forum for extrapolation through sundry avenues of fascination. 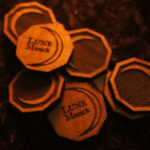 Welcome to Moonlit Missives Subscription Service! 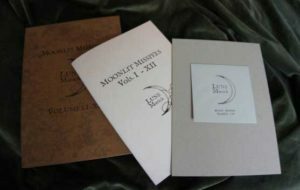 MOONLIT MISSIVES is a subscription series by In Gowan Ring. 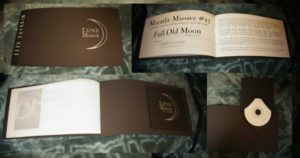 Memorandums and music are dispatched on or around each full moon with options for digital only, year-end collation, and monthly postmark mail. 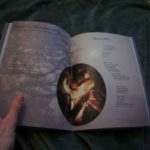 • Latest convoluted ramblings, blissful obfuscations, accidental aphorisms, and sporadically profitable epiphanies as related on the full moon of each month in story and song (ie. : the actual ‘Missive’). • Moonlit Missives full archive of all past issues. • In Gowan Ring album back catalog (streeming or download). • ‘Random Radio’- a randomized In Gowan Ring music player which also features unreleased compositions. 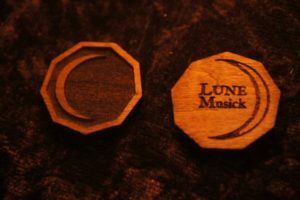 • Nonagonal Mooncoin Talisman (while supplies last). 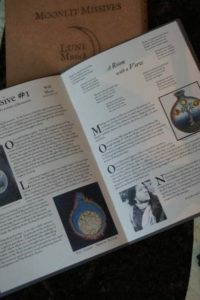 Moonlit Missives include letters–personable, vague, rambling or epigrammatic–not intended for public perusal and a morsel of music conceived to unveil the evolving process percolating in the momentary cauldron: Optic likenesses, ontological operations and potentially insightful palaver come to you directly from B’ee each month in episodes spanning the absurd and the sublime. 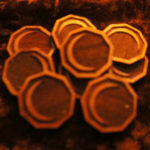 Upon subscribing to Moonlit Missives you become patron to In Gowan Ring, directly contributing to the manifestation of future productions! Picture of 2016’s Edition. Each year will have a different design. Moonlit Missives 2017 Design. A case will be provided end of year to house them. 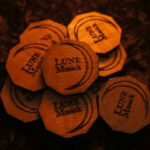 Lune Musick Nonagonal Mooncoin Talisman in cherry-wood may be provided to Moonlit Missives subscribers when available from the minting processes of the Knetmännchen. 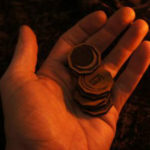 Nonagonal Mooncoins may proffer upon the bearer enhanced imaginative fecundity or dreams of fascination when placed under the pillow; if carried in the pocket or purse they may also be employed for spontaneous binary divination.